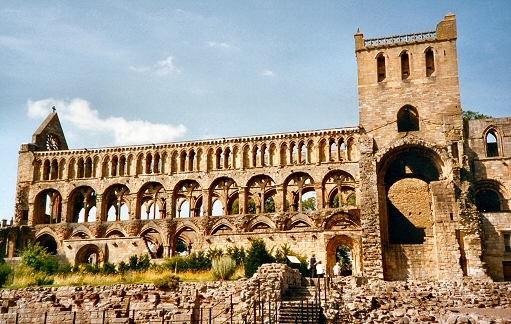 Description: Jedburgh Abbey is an inspiring site as the traveller enters Scotland from the borders of England. 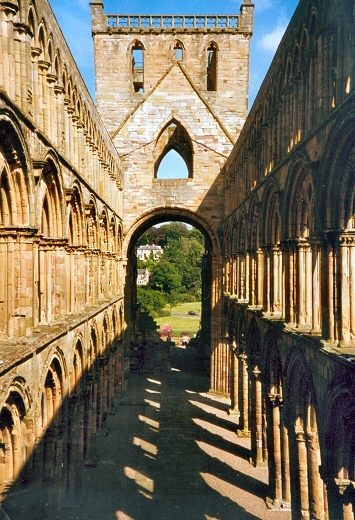 It was founded in 1138 by David I and the Bishop of Glasgow. The building is a mixture of gothic/roman style and was at the mercy of English troops being so near to the border during the 13th to 16th centuries. Some of the stonework visible at the site is actually English fortifications built by occupying forces. It is owned by Historic Scotland. Description: This view shows the abbey and the fortifications which surround it. 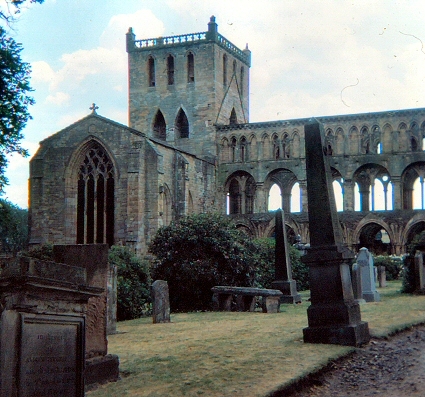 Description: This view shows the inside of the abbey looking west. 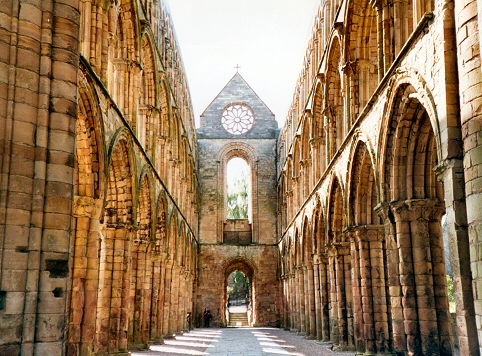 Description: This view shows the inside of the abbey looking east. 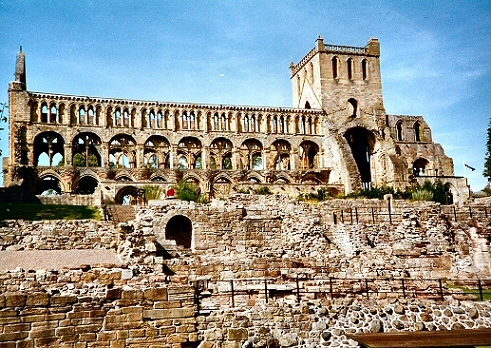 Description: The north face of the abbey shows the intact window frames of part of the building. 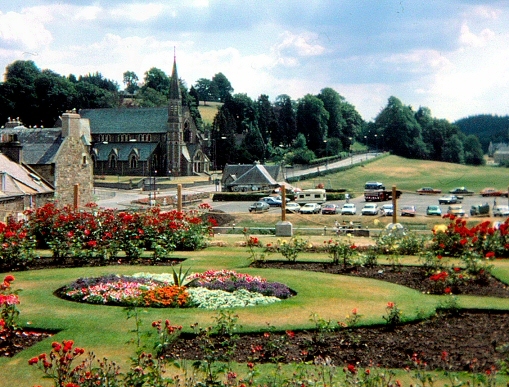 Description: Before the building of the new visitor centre, this view shows the abbey gardens and the last shop in Scotland as the road heads south to the English border.